A decommissioned Soviet-era ballistic missile — adapted for space launches instead of nuclear war — rocketed out of an underground silo and sent five Japanese Earth observing satellites into orbit Thursday. The 111-foot-tall Dnepr rocket fired out of a missile silo at the Dombarovsky military base in southern Russia at 0735 GMT (2:35 a.m. EST; 10:35 a.m. Moscow time) and deployed its passenger spacecraft in orbit nearly 14 minutes later, according to Kosmotras, a Moscow-based company with joint Russian-Ukrainian ownership that oversees the commercial exploitation of the launcher. “The launch was executed by the Russian Strategic Rocket Forces of the Russian Ministry of Defense with the support of the Russian, Ukrainian and Kazakhstan organizations which are part of the ISC Kosmotras industrial team,” Kosmotras said in a statement. “All spacecraft have been inserted into their target orbits,” Kosmotras said. 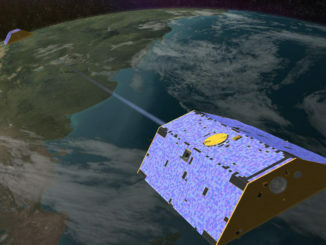 The mission’s primary payload was a half-ton Earth observation satellite from Japan. Named ASNARO 1 — short for Advanced Satellite with New System Architecture for Observation — the spacecraft carries an optical camera that can resolve objects as small as a half-meter (20 inches) across. The satellite is designed to send back high-resolution imagery through an advanced X-band radio system. ASNARO 1’s launch was delayed from 2012. Made by NEC Corp., the trailblazing spacecraft is the first in a planned series of small Earth-viewing satellites Japanese officials intend to build for domestic and international customers. Managed by Japan Space Systems — a government-chartered non-profit organization under contract to Japan’s Ministry of Economy, Trade and Industry — the program’s intention is to collect imagery comparable to data acquired by larger, more expensive Earth observing satellites. Japan hopes the ASNARO program will grow exports from the country’s space industry, allowing it to compete with satellite manufacturers in Europe and Asia which have found success in selling small remote sensing spacecraft to developing countries wishing to possess independent surveillance capability from Earth orbit. The ASNARO satellites use commercial off-the-shelf components and streamlined test procedures to minimize costs, according to Japan Space Systems. 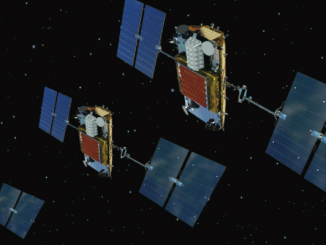 Once in orbit, the satellites will operate autonomously. Japan is developing a second ASNARO satellite with an all-weather radar instrument to take images of the ground through clouds and darkness. 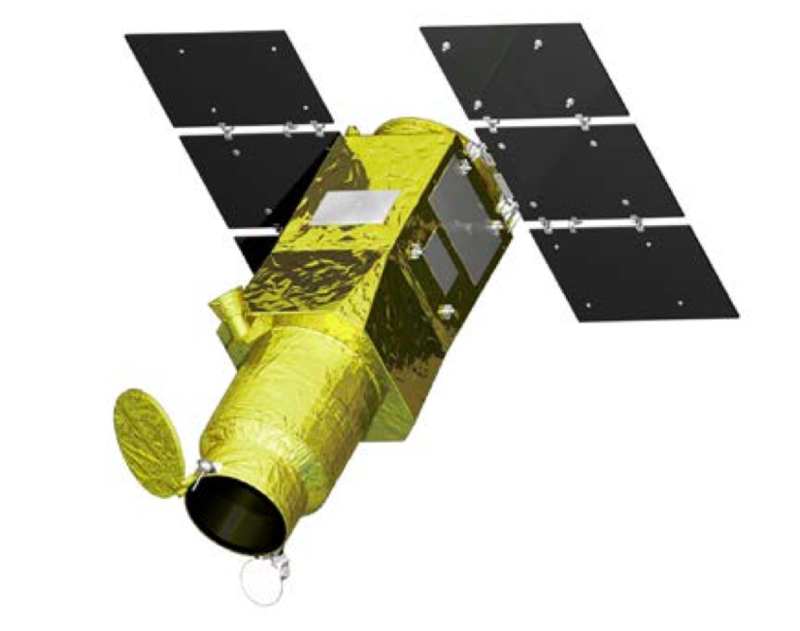 Japan is providing Vietnam two more Earth observing satellites with X-band radars based on the ASNARO 2 craft through a foreign aid package signed in 2011. Japan’s Ministry of Economy, Trade and Industry confirmed ground controllers received radio signals from the ASNARO 1 satellite a few minutes after Thursday’s launch. 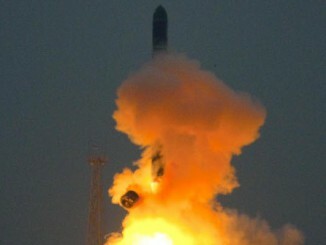 Four smaller satellites launched Thursday on the Dnepr rocket. Developed by the University of Tokyo, the 132-pound Hodoyoshi 1 satellite will begin a mission to collect medium-resolution imagery of Earth. Nagoya University’s 110-pound ChubuSat 1 spacecraft carries optical and infrared cameras to observe Earth and space debris. The Tsubame mission — led by the Tokyo Institute of Technology — will test gyroscopes for pointing control while conducting X-ray astronomy observations and demonstrating a compact camera to look down on Earth. The cube-shaped QSAT-EOS satellite — weighing in at about 110 pounds — also launched Thursday to monitor disasters and vegetation from orbit. It was developed by a consortium of institutions led by Kyushu University.